If you’re tuned into SoCal punk rock scene, there there’s a better than even chance that you’ve heard of the Feisty Piranhas – a father/son drummer and guitarist duo (Peter Lust, Jr. and Peter Alex Lust III, respectively). The explosively high energy band brought an in your face, hard and fast sound that was favorably compared to groups like Rush, NOFX, Green Day and even Pink Floyd. Not only that, but because of their incredible sound and stage presence, the band were invited to open for acts like The Tubes, Blue Oyster Cult, The Misfits, Dragonforce, and many, many others. Sadly, Peter Alex Lust III passed away very unexpectedly in January of last year at the far too young age of twenty-four. No parent should ever have to bury their child and that is certainly the case with Peter Lust, Jr.
To commemorate the memory of his son and to raise money for the Peter Alex Lust Foundation (to help young people’s interest in music), Mr. Lust oversaw the production and release of a concert DVD, “Live In Lasers,” as well as a new CD, “Evil Monkey.” Both discs are chock full of the edgy, blitzkrieg sonic barrage that the Fiesty Piranhas were so well known for. The DVD captures the raw energy of the band’s performance and persona. 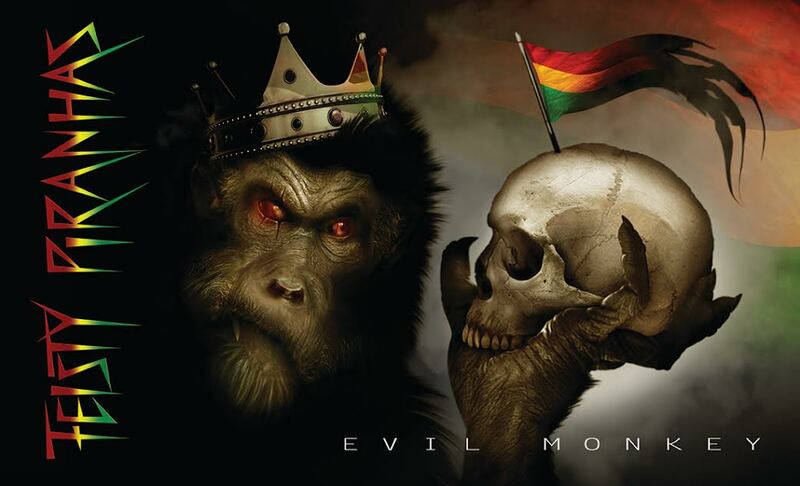 The lyrics on “Evil Monkey” are deep, provocative and thought provoking – especially for a punk rock band. If Bob Dylan were born a generation later, he would’ve formed Feisty Piranhas. Yeah, the lyrics are that deep. If you love, edgy punk rock, you’ll definitely want to order “Evil Monkey” and “Live In Lasers.” You can do so by visiting www.thefeistypiranhas.com.